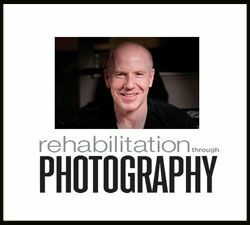 New York, NY—Matt Sweetwood, president of New Jersey-based Unique Photo, was elected to the board of directors of Rehabilitation Through Photography (RTP). Sweetwood recently has been credited with the reinvention of the successful modern camera store, which includes the country’s largest in-store education program—Unique University. Matthew “Matt” Sweetwood was born to photo industry pioneers Harriet and Bernard Sweetwood in 1963. Originally from Jersey City, Sweetwood is a lifelong resident of New Jersey who graduated from Rutgers University with highest honors in mathematics at age 20. Two years later he received a master’s degree in theoretical mathematics from the University of Pennsylvania, where he won the Dean’s Award for Distinguished Teaching—the highest honor a teaching fellow can earn. Sweetwood began his full-time career at Unique Photo while attending Penn. An early adopter of computer programming, by the time Sweetwood graduated he had successfully designed, wrote and implemented Unique Photo’s first computer system. In 1987, he became the company’s chief operating officer, in charge of warehouse operations, IT, HR, Vendor Relations and Marketing. He has since added the title of president and has become the face of Unique Photo, both to the public and the industry. His reputation is nationally known as a marketing innovator, a risk taker and as an extremely quick and creative thinker. He was personally involved in the acquisition of over 50 U.S. and International Trademarks for both language and design at Unique Photo, and he founded and ran Photo Insider, an Ozzie Award-winning publication. In addition, a devoted father of five, Sweetwood has been a regular photography contributor on Fox News, NBC’s Today Show, News 12 NJ and other high-profile programs.